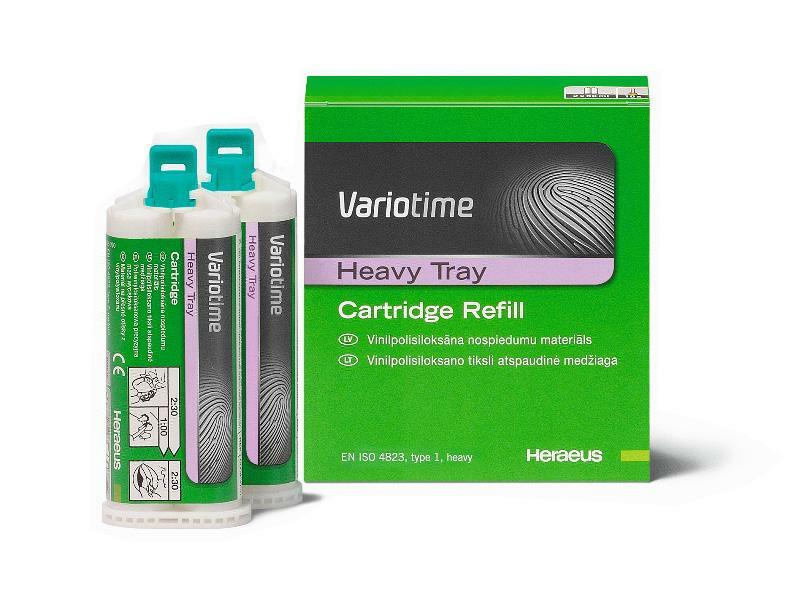 Variotime is an innovative A-silicone combining outstanding precision and process-oriented adaptability for excellent impression as the base for precise-fitting prosthetics. -With Variotime the dentist is in charge of the working process and can customize it to suit individual requirements  for efficient and stress-free impression taking. The short intraoral setting time is very convenient for the patient and time-saving in the treatment as well. -High Final hardness for precision and dimensional stability. -Excellent qualification for transfer and implant impressions. -Available in the Dynamix Cartridge for dynamic mixing and as automix cartridge. Suitable for : Two-step impressions, Double - Mix Impressions.